A former practicing periodontist (dental specialist), Dr. Zinman has dedicated his career to advocating for patients a strong standard of care. More than law, he has authored 10 edited dental textbook chapters, 20 journal articles, including the Journal of American Dental Association, and several regular columns in top tier professional publications. Dr. Zinman has also lectured to various audiences, including lectures at the American Dental Assocation, California Dental Association, World Congress of Minimally Invasive Dentistry, local dental societies and international dental meetings. With a strong academic background, over 1500 successful cases, and community support, Dr. Zinman and his associate Jim Davis III are the defacto team to successfully settle or try your dental malpractice case. Dr. Zinman continues to lecture to dental and legal audiences. His lectures usually include, with client permission, examples of winning cases demonstrating what dentists ought to be doing to practice better dentistry and stay out of court. After being sued by Dr. Zinman, a number of defendant dentists later retained him as their attorney. The dentists stated being sued was a necessary wake up call to keep up with dental technology advances. We have experience in nerve injuries causing persistent numbness and/or permanent pain, undiagnosed or inadequately treated periodontal disease, defective root canals including missed canals, root canal perforations or root canal sealant overfills, defective implants causing persistent numbness or burning pain, defective crowns, bridges or veneers, excessively contoured restorations causing bleeding gums, undiagnosed or inadequately treated infections and inadequately prevented, diagnosed, or treated tooth decay. Dr. Zinman is class counsel for pending class actions regarding ultrasonic dental cleaning devices that do not adequately protect against the buildup of bacterial biofilm in ultrasonic unit water lines. You might not know that it is critical for your dentist to flush the water lines and periodically chemically purge these lines. Also some popular ultrasonic devices for teeth cleaning or prophylaxis should not be used during surgery at all due to bacterial biofilm buildup that is too often disregarded despite contrary CDC guidelines. Do you know what to ask of your dentist? Our helpful guides, built on years of precedent, can help prevent injury. "I feel quite priviledged that you are speaking with me. Impressed doesn't come close to my observations of your article." "It is like my friend at the State Bar told me the other day...'they are out there, you just have to find them...'." "I no longer lump ALL attornies together... Just conversing with one tells me what they are all about.."
"Dr. Zinman saved my life! In May of 2008, I had severe shock-like stabbing pain that radiated up my jaw. I had a root canal, and a retreatment performed on tooth #30 by an endodontist. While on antibiotics, my pain became more tolerable, but as soon as the antibiotics wore off, the pain returned with more might. I was misdiagnosed as having trigeminal neuralgia by a neurologist, and told that this pain will be with me for life. It was difficult for me to continue the pain meds for it made me extremely nauseated and dizzy. My face started caving in and an MRI/CT scan showed muscle atrophy (isolated mild wasting to the masseter muscle). The electric shock like pain was becoming more unbearable and I had great difficulty at work and with simple daily living skills at home. I did not know how much longer I could take this pain, this meager existence, and my spirit began to fall. I was referred to Dr. Zinman and he helped guide me through this awful maze. I ended up having tooth #30 removed based upon the results of a special 3d Accuitomo x-ray [this is a cone beam x-ray CT done with 20 microsierverts which is 1% of a medical CT, higher resolution than a medical CT and at $251 including the radiologist's report, a great bargain, it is especially designed for the Dento-Maxillo-Facial area]. I had this test taken at The University of the Pacific in San Francisco - 415-929-6500. After the tooth was removed, my pain completely went away. I highly recommend Dr. Edwin Zinman, for he is extremely knowledgeable, professional, compassionate and a wonderful guide." 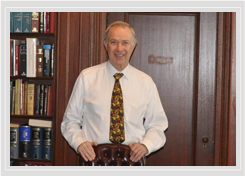 "Dr Zinman not only perfectly represented my dental malpractice case, he was also the person that I would go to, when I needed moral support. I still have his opinion when needed, long after my case was settled. I live with a chronic pain in my mouth that possibly will never go away, however I feel lucky that I had an opportunity to know such a devoted and caring professional as Dr Zinman."